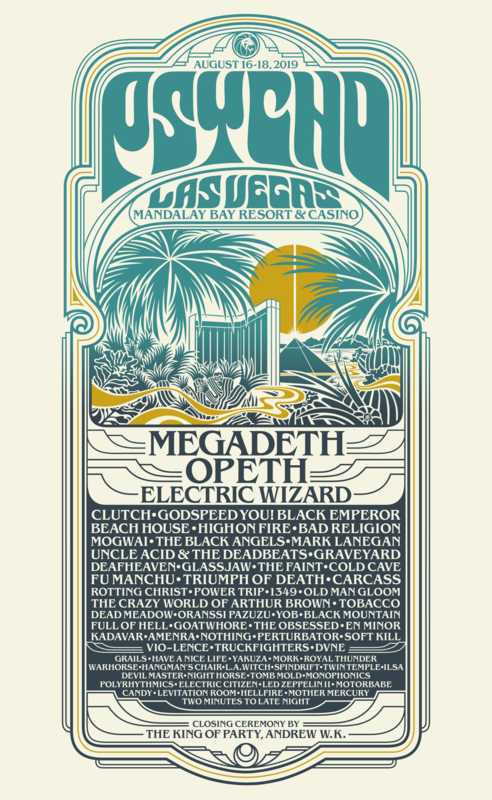 The 2019 Psycho Las Vegas lineup was already pretty stacked, but now the three-day fest has added two marquee names to the bill — Megadeth and Opeth, who join the previously announced Electric Wizard as headliners. The festival takes place August 16th-18th at Sin City’s Mandalay Bay Resort & Casino, and boasts a lineup also including such acts as Clutch, High on Fire, Bad Religion, Deafheaven, Uncle Acid & the Deadbeats, Godspeed You! Black Emperor, Carcass, The Black Angels, Triumph of Death, The Faint, Cold Cave, Fu Manchu, Graveyard, Power Trip, Rotting Christ, Goatwhore, YOB, Devil Master, Royal Thunder, and more. Other new additions include Mark Lanegan, Mogwai, Beach House, Vio-Lence, 1349, and more. See the updated lineup in the poster below. Megadeth are working on a new album and were set to support Ozzy Osbourne on his North American tour starting next month, but those dates were all postponed until 2020 when Ozzy injured himself in a fall at home and nixed all 2019 tour dates. 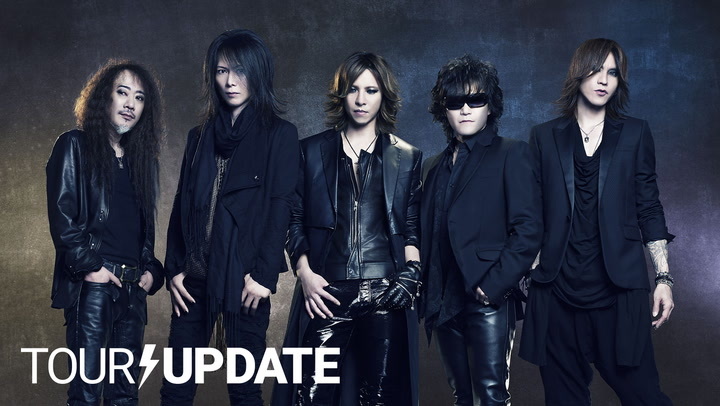 It’s unclear whether Megadeth will join Ozzy for the rescheduled 2020 dates. Opeth, meanwhile, last released the concert album and DVD, Garden of the Titans: Live at Red Rocks Amphitheater, in November, with plans to release a new studio LP sometime in 2019. In addition to the two new headliners, Psycho Las Vegas also recently announced details of the Psycho Swim pre-party, which takes place on August 15th at the Daylight Beach Club. That lineup features performances by Corrosion of Conformity, Lucifer, Danava, ASG, Primitive Man, Idle Hands, Howling Giant, and Thrown Into Exile. Tickets for the main Psycho Las Vegas fest and the Psycho Swim pre-party can be purchased here.